Benefits and Incentives to IICCI members - Members can have plenty of opportunities i.e. system of exchange with the corporate majors of OIC member countries, other world and global industry to assisting in edging economic and industrial policies, through close connection with the government. IICCI hands-on tactic emphases on helping you upsurge competence and competitiveness. Below the benefits & Privileges for members. •	Chambers of Commerce/Industry/Trade/Commodity Associations etc. 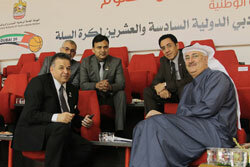 whose aims and objectives are similar to that of the IICCI Chamber. •	Umbrella Organizations of Educational Institutions. •	Minimum two years existence. •	Registration under Societies or any other Act. •	List of Members/Office Bearers. •	Constitution/Articles of Association/Bye Laws/Aims and Objectives/Rules and Regulations. •	Latest Annual Audited Accounts. * Receipt of newsletters and bulletins. * Access to the Q&A Business Service with Special Discount Rates. * Individual Members’ names are listed in the Members Directory of this Website. * Direct access to the IICCI Chamber management team for general enquiries or information. Note: ** On payment of 3 years Membership in one shot, member will get 20% discounts on membership fee as described above). - To Download Application Form, Please Click on PDF File. 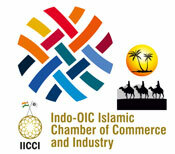 Life memberships of the Indo-OIC Islamic Chamber of Commerce and Industry may be conferred by the Global President/EC upon any current member or former member of the Chamber who has rendered outstanding service to the Chamber and its vision and purposes or who has otherwise distinguished themselves through their membership in the IICCI Chamber. •	Date of establishment, with a photocopy of Registration Certificate. •	Membership Certificate of relevant Professional Institutional. Life members shall be entitled to all the rights and privileges and be subject to all the duties and obligations of a regular member. * Access to business events and receptions hosted by the IICCI Chamber and associated institutions in India and in OIC Nations and other World over 250 Countries. * Silver Members have the option of placing a banner advertisement on the Chamber Website with discounted rates. * Right to use the “Member of the IICCI” logo in your company website and stationery. Access: Patron members have special access to all IICCI events and activities. You are provided with the first opportunity to attend all functions, seminars and panel discussions. You are also given top priority for top level visits from public officials (including ministerial visits) and senior business leaders. You also receive preferential access to trade and investment missions, and access to information sharing with high-level private and public sector decision-makers in India and OIC Nations (57 OIC Nations and 5 Observer OIC Nations and other World over 250 Countries). Exclusive Briefings: Whenever incoming delegations arrive from India or OIC Nations (57 OIC Nations and 5 Observer OIC Nations and other World over 250 Countries)., you will be able to receive exclusive briefings. These briefings are smaller in size, and provide important insights that will help you connect more effectively and efficiently with Indian & OIC Nations (57 OIC Nations and 5 Observer OIC Nations and other World over 250 Countries). counterparts. Advocacy: You receive access to and input on all advocacy initiatives the Council is undertaking. With bilateral free trade discussions underway, your input and ideas will be heard by the right people. Direction: Your Patron membership enables you to be at the table when discussing the Council’s overall direction and specific activities. You have a say on our direction and how we accomplish it. Advisory Sessions: We provide advisory services on business development, sector specific private briefings, partner evaluation another technical assistance to Patron members. We also provide sector-specific news and trade, and policy developments for doing business in India & OIC Nations (57 OIC Nations and 5 Observer OIC Nations and other World over 250 Countries). Issue-based Research: You receive access to and information from the research and studies we conduct. With this information you will gain the insight needed to conduct business in India & OIC Nations (57 OIC Nations and 5 Observer OIC Nations)., and with Indian-OIC Nations (57 OIC Nations and 5 Observer OIC Nations and other World over 250 Countries). counterparts. Recognition: As a Patron Sponsor, your company’s name and logo will appear on all IICCI written materials, including news releases, letterhead and signage at all events. Your Patron sponsorship will also appear in a special section on our website with a link to your website. Your organization will join an elite group identified as the leaders in the India-OIC Nations (57 OIC Nations and 5 Observer OIC Nations and other World over 250 Countries). business corridor. •	Representative Officers of Foreign Companies. •	Constitution or Partnership Deed. •	Annual Accounts/Latest Balance Sheet. •	List of Directors, Partners with full addresses and details of Directorships / business interest etc. in other companies. If any. •	Any other brochure/literature about the applicant. * Access to business events and receptions hosted by the IICCI Chamber and associated institutions in India and in OIC Nations, and other World over 250 Countries. * Visa Facilitation with OIC regions and other World. * Digital India support from OIC regions and other World. * Gold Members have the option of placing a banner advertisement on the IICCI Chamber Website with discounted rates. * Please Note that 2 persons from the same company/enterprise are also eligible for Corporate Membership. Firm or any individual engaged in a recognized profession such as – Lawyers, Chartered Accountants, Cost Accountants & Company Secretaries can join the Chamber as a Professional Member. •	Membership of the appropriate recognized Professional institution. •	Billing of Rs. One million per annum (minimum). •	3 years standing in the profession. •	Latest Annual Accounts/Balance Sheet. * Access to business events and receptions hosted by the Chamber and associated institutions in India and in OIC Nations, and other World over 250 Countries. * Individual/Professional Members have the option of placing a banner advertisement on the IICCI Chamber Website with discounted rates. •	Hon'ble Ministry of Commerce & Industry/Ministry of Finance of OIC Nations and other World. •	H.E. Governor of OIC Nations and other World. •	H.E.Ambassadors/Consulate General of OIC Nations and other World. •	H.E.Ambassadors/Consulate General of Indian Mission on OIC Nations and other World. •	H.E. UN, AMERICA, OIC, EU AU & SAARC, ASEAN & BRICS etc., Agencies Representatives. •	A letter of acceptance from designated office. The annual subscription for the Observer Members shall be Free or as determined by the Global President/Executive Committee from time to time. •	Sports personality (International & National eminence). •	A letter of intent (LOI), undersigned by applicant, addressed to H.E. Global President-IICCI, HQ, India. The annual subscription for the IICCI Goodwill Ambassador shall be Free or as determined by the Global President/Executive Committee from time to time. The annual subscription for the National Director shall be Free or as determined by the Global President/Executive Committee from time to time. 1. Access to insider experiences to conducting business in India & OIC Nations (57 OIC Nations and 5 Observer OIC Nations and other World over 250 Countries). 2. Linkage to the business community of India & OIC Nations (57 OIC Nations and 5 Observer OIC Nations and other World over 250 Countries). 16. Annual Resource & Member Directory that highlights each member with half page profile and contains reference material & contact information that is essential for doing business in India & OIC Nations (57 OIC Nations and 5 Observer OIC Nations and other World over 250 Countries). 20. Community service initiatives that are focused on offering business project support to low-income or disadvantaged entrepreneurs. Q: What is the IICCI? A: IICCI is a not-for-profit, private sector, membership business organization that strives to promote the development of India & OIC Nations (57 OIC Nations and 5 Observer OIC Nations and other World over 250 Countries). Commerce and encourage bilateral economic ties. Q: How many members does the IICCI have? A: At present, we have over 550 active members. Q: Do I have to be Indian or OIC Nations (57 OIC Nations and 5 Observer OIC Nations and other World over 250 Countries). National or work for a Indian-OIC Nations (57 OIC Nations and 5 Observer OIC Nations and other World over 250 Countries). company to be a member? A:No. Membership is open to anyone with an interest in India & OIC Nations (57 OIC Nations and 5 Observer OIC Nations and other World over 250 Countries). relations. In addition to Indian and Emiratis, we have members from many other nationalities. This open policy also applies to companies. A:After submitting an application form, your application will be presented for approval to the monthly Executive Committee's Meeting (Or Global President can accept it); we will send you an invoice. Once we have confirmed receipt of your fee payment, after which your membership becomes effective. If an application is not approved, the membership fee is returned in full. Q: What is the difference between categories? A: First, your listing in our membership directory (Connections) is different. Corporate members are listed under their organization name, along with corporate contact information and a corporate logo. Corporate members may also add additional employees, including up to three representatives membership, 4 vouchers of luncheon coupons. The Individual and Young-Professional listing is similar to a corporate listing, but with a shorter description. Company logos and additional employees are not available in this category either, listing information is limited (mainly personal contact information), titles or websites.All memberships are invited to attend our events. A: Being a member of the IICCI offers an array of benefits regardless of membership category, including opportunities to attend informative presentations and seminars, joint-chamber networking events and social gatherings. We also provide various opportunities for our members to promote their businesses.